Teacher's Ink. 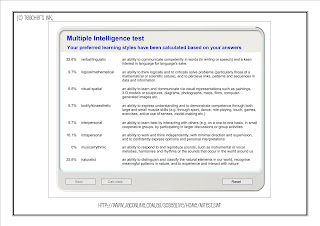 : Howard Gardner's Theory of Multiple Intelligence ... Here's my Results! Howard Gardner's Theory of Multiple Intelligence ... Here's my Results! So, what would your results be?! Will you be surprised? 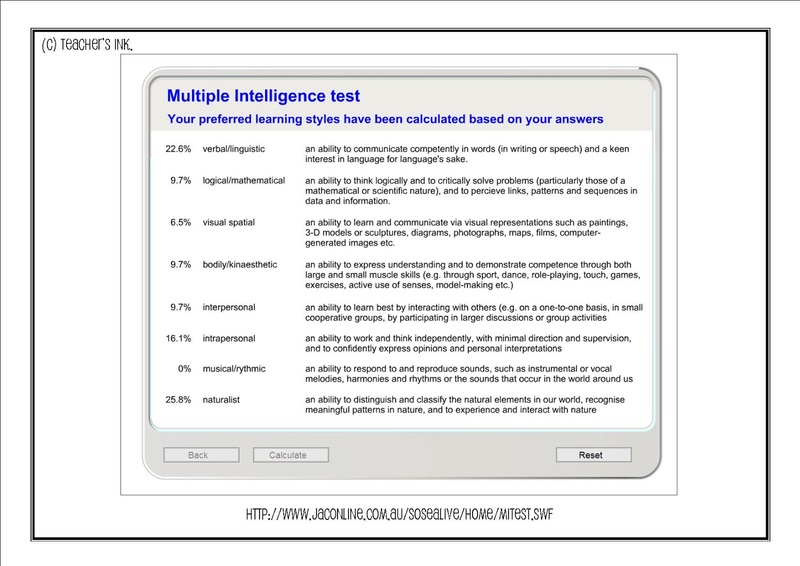 Does your test also indicate where your skills lie in your workplace?